Lately, I have been collecting board games based on or related to D&D. Fantasy Forest (1980) - liked to the D&D Cartoon. Vampyre (1981) - Set in Transylvania, so possible ties to Ravenloft. More discussion here. Clue: Dungeons & Dragons (2001) references to Tordek, Mialee etc. Dungeons & Dragons: Vault of Dragons (GaleForce9, 2018), Board Game set in the Forgotten Realms). See discussion here. Waterdeep: Dungeon of the Mad Mage (Wizkids, 2019. Board Game Set in the Forgotten Realms). *=Uses the Dungeons & Dragons Adventure System. These games can be combined. 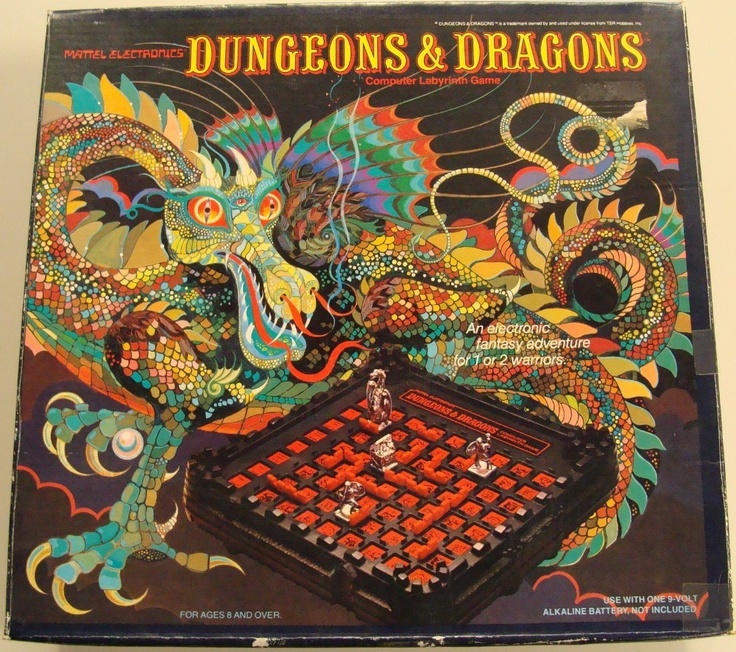 See also this thread for discussion of AD&D Battlesystem and D&D Miniatures Games. What are your experiences with these games? Have I forgotten any? Can these be used to enhance tabletop D&D campaigs in any way? Last edited by Havard on Sat Mar 02, 2019 3:04 pm, edited 12 times in total. Havard wrote: What are your experiences with these games? Have I forgotten any? Can these be used to enhance tabletop D&D campaigs in any way? I would be interested to know which ones come with figures that could be used as miniatures with tabletop gaming. Or boards that work as dungeon maps for regular figures. Cool, I knew there were many editions of Dungeon!, but I had not looked into the differences between them. I did not realize specific FR references had been worked into that edition. I wonder if those carried in to the even later editions as well? I guess I have to go through every edition now! ghendar wrote: How about these? Nice! The basic game is on my list, but not Eternal Winter or Forbidden Forest, which were the two original expansions to the game. Will add those! Ah yes, I remember these now. I think we have another thread about electronic games somewhere, but I guess these are somewhere between board games and electronic games? I suppose we can add them! Editions of Dungeon! are updated. I also seem to recall one of the M modules for Mystara having a mini game in them? 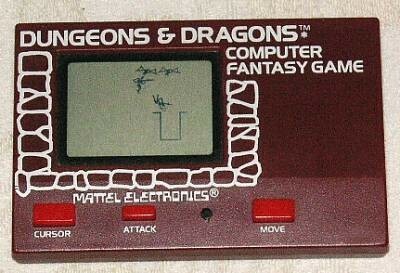 This game was connected to the D&D Cartoon. I wonder if there was any connection to the Fantasy Forest / Pick Your Path Book series or if it was just another example of TSR reusing brands/names? Big Mac wrote: I would be interested to know which ones come with figures that could be used as miniatures with tabletop gaming. D&D Clue (which I mentioned to Havard on the Piazza FB page) used D&D-scale figurines of some of the 3E iconics as pawns. I no longer own the game, but according to a reseller's page on Amazon, the "suspects" are Regdar, Lidda, Mailee, Nebin, Tordek, and Ember. I really badly want to try out the Temple of Elemental Evil game. Assault of the Giants looked less compelling, but I was unsure. And of course I know Lords of Waterdeep. Really wish they'd bring out a new expansion for it. If anyone is interested in checking out unboxings of Dungeon Command sets, DravenSwiftbow has a YouTube playlist. willpell wrote: I really badly want to try out the Temple of Elemental Evil game. Assault of the Giants looked less compelling, but I was unsure. And of course I know Lords of Waterdeep. Really wish they'd bring out a new expansion for it. I have Temple of Elemental Evil. It has 5 "player character" figures, but an array of other humanoid/human monsters/encounters that are to scale with the regular line of painted/unpainted D&D minis. I want to get a blind booster of painted Tomb of Annihilation minis, but it costs 15.99 for 4, possibly 5 figures! At least the unpainted minis cost 3.99 for 2-3 (again depending on size, but only 1 giant figure for that price), and you get to see what you are getting before you purchase. I don't know about Assault of the Giants or Lords of Waterdeep, but I think those are more strategic and political than Elemental Evil. The older 4e era board-games like Wrath of Ashardalon and the one based on Ravenloft (iirc the name). I could break out my Dragonstrike game & use those minis! Lords of Waterdeep is an absolutely brilliant game. I have several up to Lords of Waterdeep and expansion. Ordered Temple of Elemental Evil. Not sure about Tyrants of the Underdark, someone has tried it? Sturm wrote: I have several up to Lords of Waterdeep and expansion. Ordered Temple of Elemental Evil. I think this is the boardgame that a group plays every Tuesday night at my FLGS. I'll ask next time I see one of them. IDR the name of the boardgame they play, but it is based on Menzoberranzan and centers around Drow politics. Does that sound like Tyrants? Yes, should be it, thanks! I talked to the manager at my FLGS and he has ordered the Tomb of Annihilation board-game for the store. They are selling it for $79.99 (US), and, the deal is that this will be the store's copy. If I like it and can afford to buy it, they will order another copy. The original Dungeon was the best; my brother and friends and I played that for countless hours. I remember that most of the time we removed the diamond from the possible treasures, because it was just too tempting to race to the lowest level of the dungeon and try for it in order to basically win the game in one fell swoop (as the gp value of the diamond alone either was sufficient to win or got you right in the ballpark). The wizard was always pretty much the most powerful character in the game, but there was still enough competition with the other classes that it wasn't too bad. I actually won a copy of the Legend of Drizzt board game along with a bunch of other Drizzt swag from a contest that WotC held back around 2011; I ended up giving it away unopened though. I kind of regret it now, but I hadn't found anyone local to play with for several years and while I think I would have more interest now, realistically I have other boardgames that get more mileage, so I hope it found a good home. I'm not sure if they qualify for your list or not, but TSR put out several mini-games back in its early days. My brother owned one called Saga that was a lot of fun. It was a small boardgame, there was a small map and cardboard tokens, and it was loosely based around Norse mythology. Other games in that mini-game "series" included Revolt on Antares, They've Invaded Pleasantville, Vampyre. Dread Delgath wrote: I have Temple of Elemental Evil. It has 5 "player character" figures, but an array of other humanoid/human monsters/encounters that are to scale with the regular line of painted/unpainted D&D minis. Have you played it at all? How is it? I don't know about Assault of the Giants or Lords of Waterdeep, but I think those are more strategic and political than Elemental Evil. I know Lords of Waterdeep quite well; it is a worker-placement Eurogame with only skin-deep D&D flavoring, but that's enough to get me to play it (although it has balance problems which keep me from fully enjoying it). I can go into more detail if anyone is interesting. The older 4e era board-games like Wrath of Ashardalon and the one based on Ravenloft (iirc the name). That one is just called Castle Ravenloft. There's also the Legend of Drizz't one. We played it one session when most of the D&D group didn't show (at the FLGS) nearly 2 years ago. I bought it that night out of curiosity, and since we didn't D&D, I unwrapped it and set it on the table. We went over the rules, punched the cardstock tokens out, sorted out the minis & cards and tried the first couple of scenarios in the adventure book. The character cards (there are 5, one for each character mini) with simple rules based on the characters race & class. Hit points are reduced to "hits", usually a number between 3 and 5, or higher, and these are the number of hits a character can take. One successful attack = one hit. Monsters have 1, 2 or more, depending on what they are. I think the dragon in the set has 10 hits. Each monster card also lists the number of treasure cards to draw if it is defeated. There are quite a few scenarios and we only played through two that night. We were going to play it the next time we didn't have enough players, but I never brought it to any other game sessions. I think the first one starts everyone out in the village, and we have to rescue villagers & stop the invading monsters from the temple of elemental evil. The next session is an escape - we start out in the dungeon and keep going until we find the exit tile. willpell wrote: I know Lords of Waterdeep quite well; it is a worker-placement Eurogame with only skin-deep D&D flavoring, but that's enough to get me to play it (although it has balance problems which keep me from fully enjoying it). I can go into more detail if anyone is interesting. It sounds a lot like other political boardgames I've seen. I've got one massive game called Tom Clancy's Politika (backwards 'k', as in Russian) that looks like a resource/worker placement game over the entire Soviet continent! I've never played it, but I have that and a few others that I wish some of you guys would come over and play. I believe the map tiles for Ashardalon and Ravenloft fit with the ones from Temple of Elemental Evil, and the rules and monsters, cards & tokens are all compatible, so if you have more than one set, you could kit-bash a homemade dungeon/castle and have any kinds of monsters & treasure in the mix! Dungeons & Dragons: Dragonfire (by Catalyst. Card Building Game. Set in the Forgotten Realms).